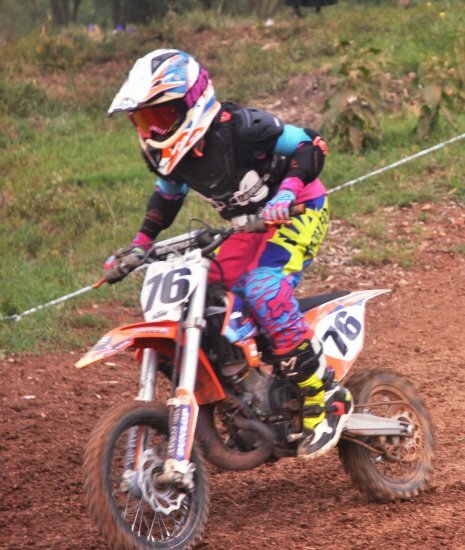 The sixth round of the Kenya National Motocross championship ended dramatically at the Jamhuri Park race track over the weekend with riders treating spectators to some exhilarating displays of motorcycle artistry. Comeback kid Tutu Maina cleared the ground with all his opponents in MX 1 with Mikhail Berman and Toby Francombe completing the podium dash. Maina who is returning to circuit racing after a year's lull showed no signs of rust with excellent cornering and jumps. Organisers combined MX1, MX2 and the veterans classes in a bid to offer spectators some pure adrenaline moments a month after Kenya hosted the FIM Africa continental championship at the same venue. Leader Ngugi Waweru got a rude shock when Elias Sherman eclipsed him in the MX2 thriller. Sherman is returning from a seven-month injury lay off and proved his mettle on the track with fast and furious stunts. "It feels really good to get back on the groove. I only returned to the track on August after nursing a broken vertebrate on my back so the win has definitely come as a surprise to me. The plan is to keep riding clean and faster in the remains three events,' said Sherman. Jet Takkunnen emerged the winner in MX65 beating Dekker Kihara and Nandi Kiplagat to another lightweight exhilarating podium dash. Kigen Kiplagat emerged the winner in MX 85 ahead of Christian Chege while James Luusa and Kit Garner took MX50 honors ahead of Andrew Ohonde. Pee Wee 1. Harley Calder 54, 2. Khalid Anwar 52, 3. Trey Garner 50; MX50: 1. Kit Garner 60, 2. Andrew Ohonde 47, 3. Atete Benzinge 39; MX65: 1. Jet Takkunnen 60, 2. Dekker Kihara 57, 3. Nandi Kiplagat 41; MX85: 1. Kigen Kiplagat 60, 2. Christian Chege 44, 3. James Luusa 43; MX125: 1. Rolf Kihara 57, 2. Ethan Nyachae 54, 3. John Schrier 45; MX2: 1. Elias Sherman 57, 2. Ngugi Waweru 54, 3. Orobia Malungu 43; MX1: 1. Tutu Maina 60, 2. Mikhail Berman 51, 3. Toby Francombe 43; Veterans: 1. Yongo Frederick 60.